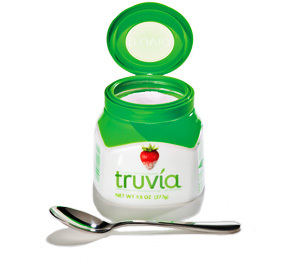 Are Truvia and PureVia Good For Me? Hope you are having an awesome start to your Labor Day Weekend! Enjoy the family festivities and be safe whether you are at the Lake, in the mountains or anywhere in between. After last week’s post on “Is Being Sugar-Free Good For You?” We had a great question come in about stevia-based products an whether or not they were safe to consume. We will do our best to simplify the topic as it’s not a straight yes or no answer. Stevia is a plant with it’s leaves being used as a sweetener for centuries in countries like Paraguay and Brazil. If the stevia you are using is pure whole leaf stevia (which would be green in color) the answer to the question “is stevia safe to use” the answer would be yes. However the question was about the safety of “stevia-based” products. First of all it depends on the other ingredients. There are a lot of products on the market that say “made with stevia” and then contain other ingredients like crystalline fructose or artificial flavorings. So that answer would be “no” on the safety of stevia-based products. What about Truvia and PureVia? Pure Via only contains natural sweeteners. The pure Reb A from the stevia plant that sweetens Pure Via starts with stevia leaves, which are first milled and then steeped in water using a brewing method that is similar to brewing tea. The resulting stevia extract is then further purified to separate the Reb A through a proprietary technology used by PureCircle. Finally, Reb A, the sweetest part of the leaf, is extracted, purified and then combined with other natural ingredients to make Pure Via. The proprietary technology? This usually entails the use of ethanol to separate the Reb A from the other natural components of Stevia. What about other stevia products? If you need to use stevia i.e. as a packet to sweeten your morning coffee or smoothie our first choice would be whole-leaf stevia. Next would be a manufacturer such as Sweet Leaf which extracts the sweetness of the leaf with only purified water. No chemicals. No alcohols. No additives. However they do use a fiber filler called inulin because the extract would be too sweet on it’s own. By the way the filler makes up almost 99% of the volume of the packet. So friends keep it clean! A few tips to remember for healthier living. Avoid all processed foods and stay away from products that say “sugar-free”. Eat foods in their whole state or as close to it as possible. READ LABELS! In today’s day and age it’s difficult to trust the front of the packaging. A general rule is if you can’t pronounce the ingredient, you shouldn’t be eating it. Enjoy the weekend and we’ll see you next week! Is Being Sugar-Free Good For You? We are so EXCITED! Why? because so many of you are sharing incredible success stories with us and that is so inspiring. When we started Organic Housewives our desire was to help families make positive changes in their homes and lives by educating and providing products that would help you reach your health goals. We are getting there! The number of you that have adopted healthier change whether through adding a healthy recipe, changing to vegan protein in your smoothie or by doing the OH Detox you have made progress and that is exciting and humbling to us at the same time. Congratulations on your progress that is AWESOME. We have gotten a number of inquiries on how to read labels and what is really healthy vs. not. Of course this is a huge topic and one blog post won’t answer it all. 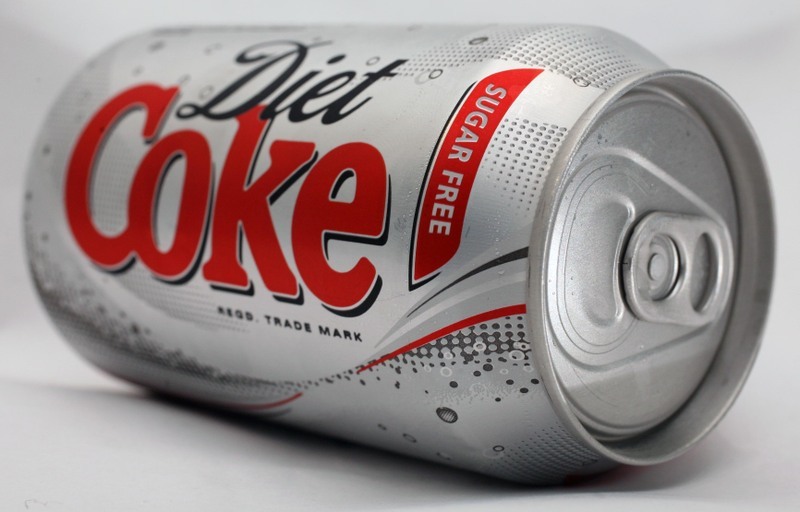 However we are going to touch on one of the biggest misconceptions out there and that is on sugar-free products. Most people especially those that are trying to lose weight immediately go to “low-fat” and “sugar-free” products. They are supposed to be better for you right? In most cases they aren’t and here’s why. The food companies realize that YOU the consumer are getting smarter. They still want to put out foods that are tasty and appear healthy but they have to look at the bottom line too, which typically means getting the most flavor using the cheapest ingredients so most companies put out foods that appear healthy with names such as “natural”, “sugar-free” and “low-fat” but unless you read the label to see what is actually in the product it may contain additives, artificial sweeteners or sugar. So a manufacturer can use the term “Natural” on their packaging provided it doesn’t contain added color, artificial flavors or synthetic substances. So what’s in the product? It could be a lot of things but just so you know high fructose corn syrup (HFCS) can be a “natural” ingredient. Are you kidding me? You read that right. The FDA concurred with this and yes, you the unknowing customer who sees a snack for your child on the shelf that says “natural” can in fact contain HFCS which we all know is one of the worst foods (if you can even call it that) on the market. For a complete explanation on why HFCS is so bad for you Dr. Hyman’s article does a great job of breaking down why HFCS will ultimately make you sick. With regard to the “sugar-free” labeling that we see the following equation is usually correct. Contains: Phenylalanine, aspartic acid and methanol. Reported side effects: Headaches, fibromyalgia, anxiety, memory loss, arthritis, abdominal pain, nausea, depression, heart palpitations, irritable bowel syndrome, seizures, neurological disorders, vision problems, brain tumors and weight gain. Contains: Acesulfame-K is a potassium salt containing methylene chloride, a known carcinogen. Reported side effects: Long term exposure to methylene chloride can cause nausea, headaches, mood problems, impairment of the liver and kidneys, problems with eyesight and possibly cancer. Acesulfame-K may contribute to hypoglemica. Acesulfame-K is commonly found in diet drinks but also appears in “low-carb” products such as yogurts and ice-cream. Carbonated water, colour (caramel E150d), sweeteners (aspartame, acesulfame-K), flavourings (including caffeine), phosphoric acid, citric acid. Contains a source of phenylalanine. Contains: A synthetic additive created by chlorinating sugar. Manufacturers say the chlorine in sucralose is no different from that in table salt. However the chemical structure of the chlorine in sucralose is almost the same as that in the now-banned pesticide DDT. Reported side effects: Head and muscle aches, stomach cramps and diarrhea, bladder issues, skin irritation, dizziness and inflammation. Sucralose is appearing more and more often as consumer’s are realizing that aspartame is really bad for their health. Industry giants are trying to promote sucralose as “naturally derived” but we all know what “natural” can really mean. Take a look at this supposedly healthy food. 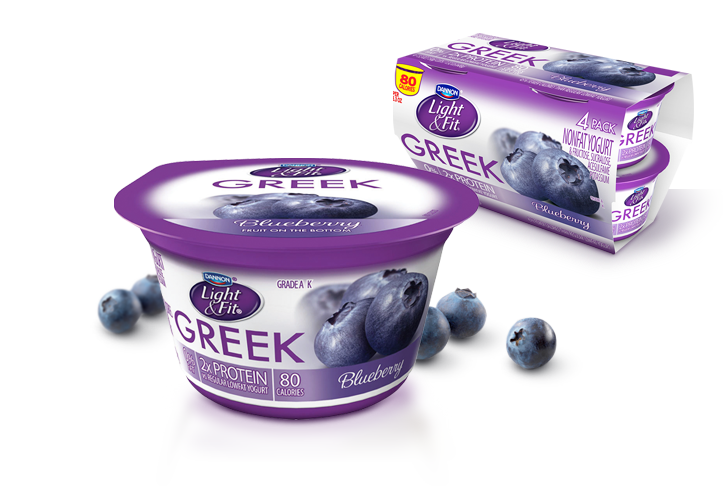 With a name like “Light and Fit” how could it possibly be bad for you? By the way if you look close you will also see the ingredient carmine. That might turn you off if the artificial sweeteners don’t! As you can see labeling can be a tricky and time-consuming. We know this is a complicated topic and hope that we have made this one component of reading and understanding “sugar-free” labeling easier to understand. If you consume “sugar-free” foods, please consider turning the package around and checking for yourself if it is something you want in your body. Keep up the great work and let us know how you are doing! Once again it’s that bittersweet time of year. The kid’s are back in school which marks the end of summer but that also means a little more time to focus on engaging in healthier eating habits. We find that having some snacks that you can make ahead are a great way to always have something healthy ready to go. Having items such as fresh cut celery, snap peas, cucumber spears etc. are a great way to go. If it’s ready you will reach for it versus other snacks (processed). A great make ahead recipe is our Vegan Sun Dried Tomato Dip. It is a heavier than our pico de gallo or raw cucumber salsa but still healthy and packed with flavor and health benefits! 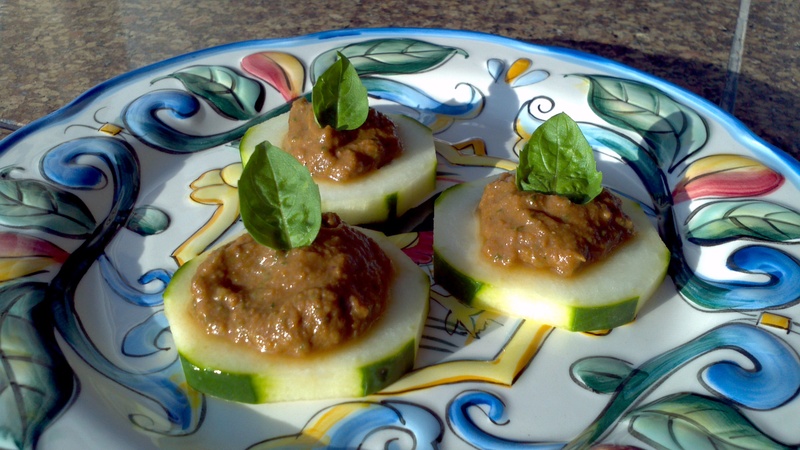 This will keep in the fridge for several days and also makes a great appetizer! If you want to get fancy, pipe it onto an English cucumber slice and garnish it with a piece of basil. You don’t need a lot as the flavor is intense! In a medium bowl, pour boiling water over sun-dried tomatoes and set aside to soak for at least 15-20 minutes. Once tomatoes are soaked, remove from water and gently pat dry. Place everything except basil, parsley and oil into your food processor or Vitamixer. Process until quite smooth. Gently add in oil a teaspoon at a time until you get the consistency you desire. Add herbs and pulse until they’re evenly distributed, but still chunky. Refrigerate for a minimum of one hour. This dip will keep in the refrigerator for five days. In true Mediterranean style, it keeps getting better as time goes on! This “dip” is great as a dip with fresh vegetables, gluten-free crackers or used as a spread in a wrap. This will keep for 4-5 days in the fridge so it’s great to have on hand as an easy “go-to” snack.